Le Rabelais restaurant in Dalat, Vietnam. The French may have left Vietnam over 50 years ago, but coffee and croissants are still almost as easy to find as rice paper rolls. Here, five of the best Vietnamese eateries to get your Francophile fix. Set in a colonial villa in the city’s Old Quarter, here you can sit out in the cobbled courtyard, amongst vines and jazz music, while feasting on French-Vietnamese fusion cooking. The inventive menu changes every six months, featuring creations like chocolate truffle fritters with tamarind and red fruit flower sauce. Le Rabelais: The decadence of France in Vietnam. 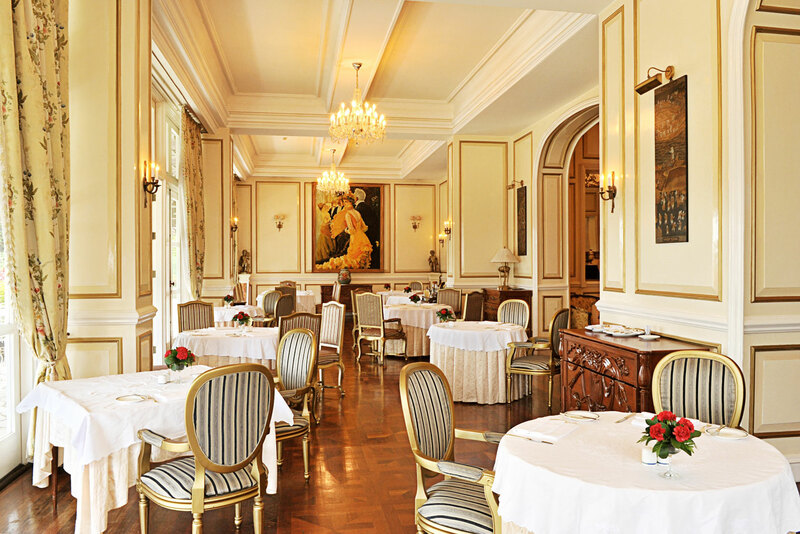 Inside the ornate Dalat Palace Luxury Hotel & Golf Club, this is French at its finest. The menu is said to capture “nouveau French cuisine with a touch of Vietnamese delicacies,” meaning award-winning continental creations. Matching the food are the garden views, while the interior is adorned with chandeliers, a fireplace and piano, where live music is played every evening. Set up by three French foodies, La Badiane (meaning star anise), is dedicated to French cuisine using international influences. Nestled amongst leafy greenery, guests can choose from the traditional menu or a five-course degustation. But with five-star dishes comes five-star prices (in Vietnam, anyway) – expect to pay $80 per person for the degustation. 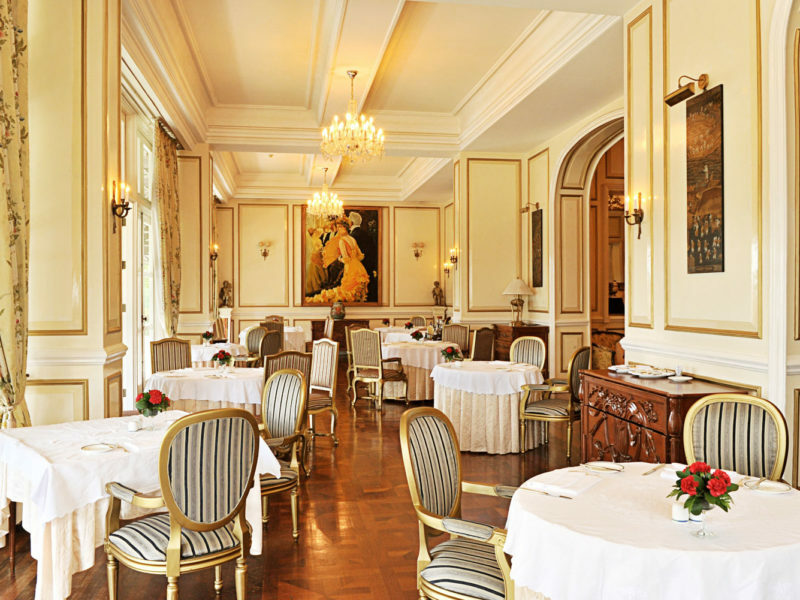 As charming as provincial France itself, La Villa is tucked away in Thao Dien, a quiet hub of Ho Chi Minh City. Here diners can indulge in authentic French fare – both set and à la carte menus – in the cosy dining room, or outside beside gardens and a swimming pool. As well as a cheese trolley and an extensive French wine list, guests can lash out with a post-feast cigar… surprisingly not made in France, but Cuba. We’d recommend trying the duck foie gras terrine with poached fig in muscat wine and salted honey caramel. This French bistro is in downtown Saigon (aka Ho Chi Minh City) and serves up quality but inexpensive French fare. You’ll be hard-pressed to miss the giant yellow 48 set against the vibrant blue sign. The crispy Camembert cheese with curry sauce is the perfect blend of French food with a Vietnamese twist. There are also plenty of steak dishes and goose liver for the meat lovers and if you’re feeling particularly brave, you can also try the dove. You’ll also find a variety of seafood options to choose from – including shrimp, oysters and salmon.